The outcome of upcoming presidential elections is uncertain, but clean energy seems secure. "We do not expect any retreat in the push for renewable energy, irrespective of who comes to power." India’s renewable energy sector looks set to continue growing this year, despite uncertainty over the outcome of national elections in May, analysts said. 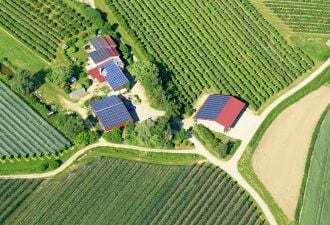 “The solar industry will continue to progress positively, largely independent of the election outcomes,” said Wood Mackenzie analyst Rishab Shrestha. Current Prime Minister Narendra Modi had established a "very positive" course, "and the achievement thus far is commendable in the utility-scale solar sector,” Shrestha said. Modi’s right-wing, Hindu-nationalist Bharatiya Janata Party (BJP) became the first Indian party since 1984 to win an outright majority when it secured 282 seats in India’s lower house of parliament, the Lok Sabha, in the 2014 general election. The prime minister’s market-friendly outlook helped boost India’s economy in the early part of his leadership. And observers lauded attempts to tackle the country’s burgeoning black market, for example by taking the two largest-denomination banknotes out of circulation. But Modi’s liberalization efforts have been accompanied by a reduction in social welfare spending and attacks on union power. The specter of rising unemployment has become one of several campaign issues chipping away at the BJP’s popularity. Opinion polls gave the BJP-led National Democratic Alliance a comfortable margin up until last December. But since the beginning of the year, surveys have predicted a hung parliament, with no party claiming an absolute majority. Uncertainty over the election outcome grew this month when the main opposition party, the Indian National Congress, fielded Priyanka Gandhi. A popular member of the powerful Gandhi dynasty, she will compete against Modi for votes in Uttar Pradesh, a key state in the elections. With the stakes rising and renewables seen as a success story for India, “we could potentially see numerous ambitious announcements of state-level solar targets to drive up jobs [before the] elections,” Shrestha predicted. State targets have been major drivers for renewable energy in India, even if the results of some policies have not always been as hoped. State policies have sometimes suffered because of seemingly obvious issues, such as a deficit of grid capacity to accept new projects or a lack of well-funded offtakers to buy solar or wind production. And this month a Tamil Nadu target to have 9 gigawatts of solar by 2023 left observers questioning how a stipulated 40 percent of the capacity might come from rooftop installations when commercial and industrial consumers, an obvious target, were expressly excluded. Wood Mackenzie Power & Renewables expects India as a whole to fall short of its 2022 renewable energy target. Despite lofty renewable energy ambitions, coal is expected to deliver around three-fifths of the country’s electricity by as far out as 2040. Nevertheless, an increasing need for distribution companies to maintain regular power supplies is likely “a positive for renewables from a macroeconomic standpoint,” said Shrestha. 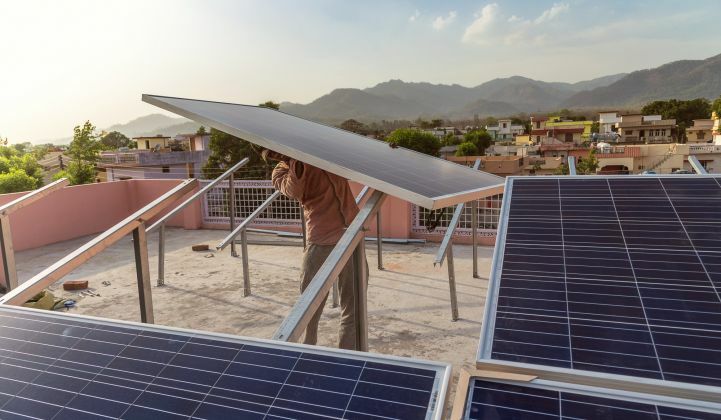 The consultancy Bridge to India expects utility-scale solar capacity additions to cross 10,000 megawatts for the first time this year, and for rooftop solar capacity additions to hit 2,368 megawatts, up 49 percent. Overall, renewable energy generation capacity is expected to grow by 50 percent in 2019. Vinay Rustagi, managing director of the firm, told ET Energy World that this growth is welcome after a slower 2018, but that it may not be sustainable. 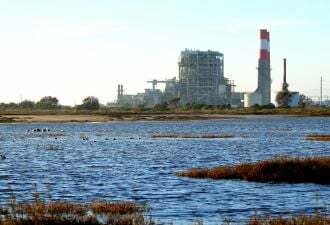 "The sector is bound to continue its struggle with [taxes], safeguard duties, funding availability and transmission connectivity,” he said. “Crucially, in an election year, politics are likely to dominate over reforms and swift resolution of sector problems is unlikely," Rustagi continued. "On the plus side, we do not expect any retreat in the push for renewable energy, irrespective of who comes to power." While the overall outlook for renewables post-election remains stable, there are some concerns over how offshore wind could fare if Modi loses. India plans to tender a gigawatt of offshore capacity this month in Gujarat, where the wind resources are as good as those in Europe. The government has received 35 expressions of interest from players including E.ON, Equinor, Macquarie, Northland Power and Ørsted, according to a report by the wind industry information service A Word About Wind. But the success of the tender, part of a wider strategy to develop up to 30 gigawatts of offshore wind by 2030, could depend on how the technology stacks up against other renewables in terms of cost. Solar and onshore wind are already cheap in India, and a new burst of auctions could drive costs down further. Richard Heap, editor-in-chief at A Word About Wind, said a 567-megawatt Siemens Gamesa turbine order for two projects by ReNew Power showed Indian developers are starting to overcome grid constraints and create larger plants, potentially capable of lower prices. “That could be competition for offshore wind,” he said.